Perfect, that’s what’s in my Sauvie Island Organics share this week (hakurei turnips instead of radishes, but same difference). I actually had a very similar dish on my menu for this evening. Excellent! 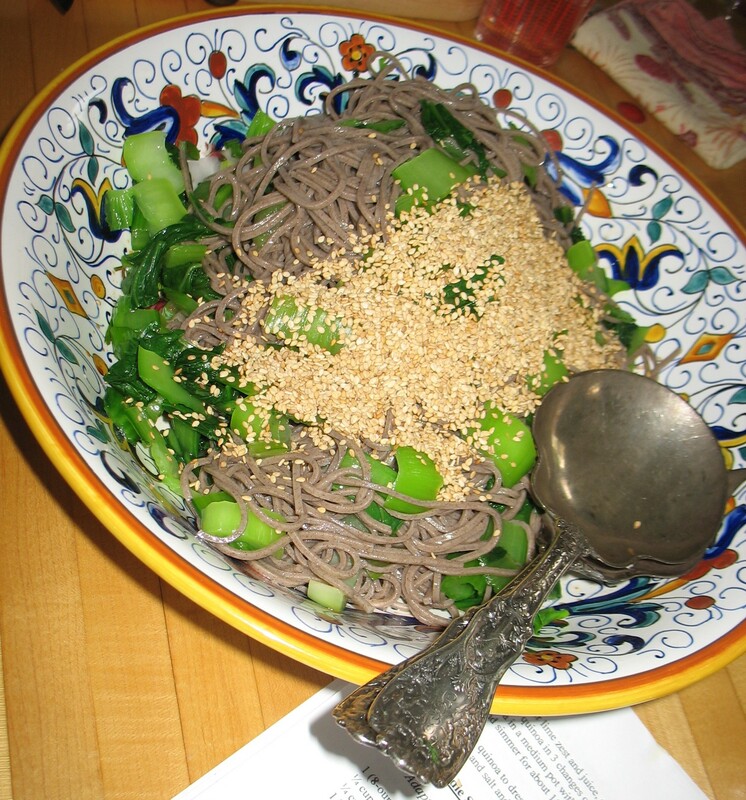 It is so delicious and the turnips would be perfect and you could use the turnip greens much in the way I used the bok choy in my version–cooked briefly with the noodles. I recently tried roasting radishes (ala’ the NYT recipe – http://www.nytimes.com/2010/05/12/dining/12appe.html?emc=eta1) and loved them; I can’t wait to try this one! Thanks! You’re welcome! I’m going to make this for my whole extended family while we’re at the beach this week. Cool, easy, delicious and adaptable.